They are one of the world's largest manufacturers and suppliers of over a dozen APIs. These are produced right from the basic stage at manufacturing facilities endorsed by the world's most discerning drug regulatory authorities like US-FDA, UK-MHRA, EDQM-Europe, WHO-Geneva and many more. 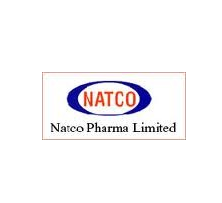 The policy of Natco Pharma Limited stands committed to current good manufacturing practices, conforming to international standards, ensuring timely supply with cost effectiveness, quality pharmaceutical products to meet customers expectations, achieving high customer satisfaction and market leadership in domestic as well as overseas markets by implementing quality management systems on continual improvement basis. Indoco Remedies is engaged in the manufacturing and marketing of Formulations (Finished Dosage Forms) and Active Pharmaceutical Ingredients (API's) in India. Indoco has a strong international presence in the regulated and emerging markets. The Company is striving to place itself on a strong promising path by expanding its business strategically, strengthening its manufacturing facilities and enhancing capabilities across the organization. The Company is looking at various opportunities in untapped markets and association with business partners in the global markets to boost its revenues. Galpha Laboratories Limited was founded by Shri N.K. Singh in the year 1986. He is the eldest son of exemplary Shri Samprada Singh, the founder and Chairman of Alkem Laboratories Ltd., one of the most successful entrepreneurs of the India, ranking amongst the top 6 pharmaceutical companies of India. His vision and zeal continues to guide and motivate all. The positive influence and guidance of Shri Samprada Singh amongst his sons and relatives are there to see. Each one of the associate companies under his influence is today a success story. One of the inherent strength of the various associate companies is its close professional cooperation, yet maintaining a distinctly separate and individual identity. Elder Health Care Ltd. is focused on FMCG products. Elder Healthcare Ltd.'s consumer products has responded to this reality through a product basket comprising of strong brands with proven therapeutic capabilities. The product range comprises of OTC products in pain management, fairness segment (both men and women), oral care, lip care, burn categories, Men,s, Women's grooming etc. Elder Health Care Ltd. is engaged in the manufacture of a range of FMCG products through research and development and also in the manufacturing and marketing of diverse products through licensing agreements with Indian and International companies. Piramal Healthcare is a part of the Piramal Enterprises Ltd. Led by Ajay G. Piramal, the Piramal Group is one of India’s foremost business conglomerates. Emerging from a rich textile industry lineage, the Piramal Group has exemplified diversification by foraying into a myriad of industries that encompass healthcare, drug discovery and research, glass, real estate and financial services. Piramal Enterprises, Piramal Life Sciences, Piramal Glass and Piramal Realty are the flagship companies that operate within these sectors. The Piramal Group truly demonstrates a global footprint with its products and services being exported to over 100 countries, its international income contributing to greater than 70% of the Group’s revenues and more than 15 nationalities being represented amongst its employees. Marksans Pharma, headquartered in Mumbai (India) is vertically integrated global player with strong presence across the entire value chain from Active Pharmaceuticals Ingredient's (API's) to formulations to bio pharmaceuticals. We are also actively engaged in R & D and offers Contract Research and Manufacturing Services (CRAMS) to global pharmaceutical companies. The specialty focus of Marksans Pharma traverses through a wide array of prescription drugs. These drugs have markets spanning the medical fields of Oncology, Gastroenterology, Antidiabetic, Cardiovascular, Pain Management, Gynaecology and others. Furthermore, Marksans also inroads into complex and intricate markets dealing with Biotechnology and Neuropsychiatry. Company has chalked out its business strategy and focusing on the key areas and core competencies and started the process of building up a strong platform thereby creating better shareholder value. It aims to consolidate its presence in the domestic market through focused development in various therapeutic segments. It has started exploring new International Markets through its Subsidiary i.e. 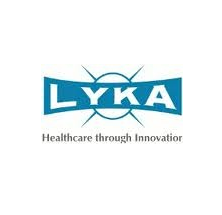 Lyka BDR International Ltd.